Having loved spending weekends and holidays at Shorefield for the last three years the time came to either move on or to purchase a new holiday home. We chose the latter and are thrilled to bring you the opportunity to stay in our unique beach-hut style holiday home. 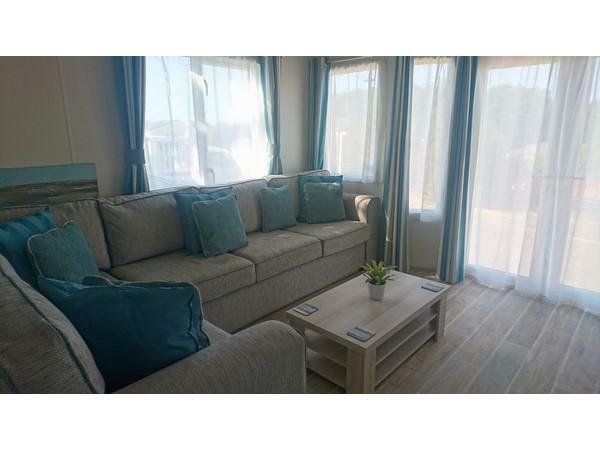 The caravan has 1 double bedroom and 1 twin bedroom plus a sofa bed in the lounge area. The price you see is what you pay - there are NO additional costs - we don't charge any extra for dogs and we don't charge any extra for services such as gas, water and electric. The only thing not included are the entertainment passes and these are so easy to pick up at reception at approx £60 per family for a week in peak season. We are happy to discount for longer stays and will consider any enquiries for short breaks outside of peak season - please e-mail or call to ask. 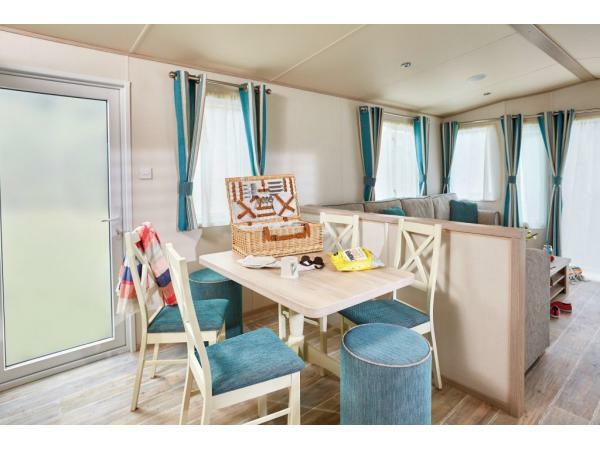 We now have two caravans at Shorefield so even if this one doesn't have the availability it's worth checking with me about the other one, which has 3 bedrooms. The caravan was immaculate, we have a lovely stay and it was in a wonderful spot. We have stayed at Shorefield before but after using Ruth's caravan feel that we have been spoilt!! Will definitely be booking again. We had a lovely week in this caravan. Very clean. Good value for money. Fabulous local walks along the sea & around the village. Will definitely be booking again. Unfortunately we had to end our stay early due to a medical problem but we will deffinatly rebook in the future. The caravan was very well equipped and spotless . The site has good facilities and is well located. The booking process was easy and price competitive. We know the surrounding area well as we had a static van ourselves in the past on another site and keep returning to this part of Hampshire. Lovely modern caravan in a great location within the park. The van has everything you need for a great stay. Loved the wooded walks that start right outside the door. Enjoyed sitting on the veranda with a glass of wine and a good book. The indoor pool was a great bonus as was the rest of the club house and its staff. Thanks for a lovely stress free break. 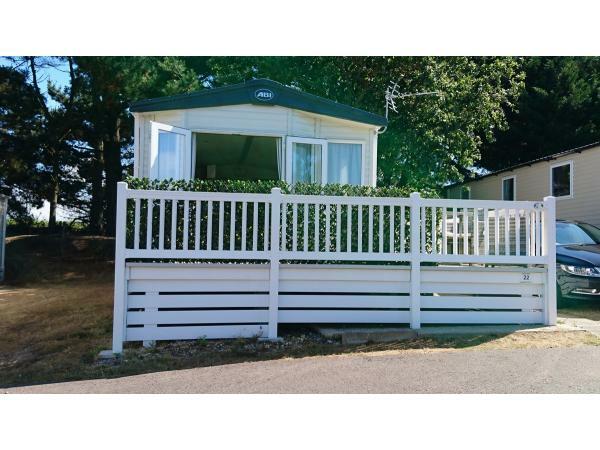 Immaculate and modern caravan containing everything you need, and in a perfect position on the park. Would highly recommend! Fantastic location on the site. 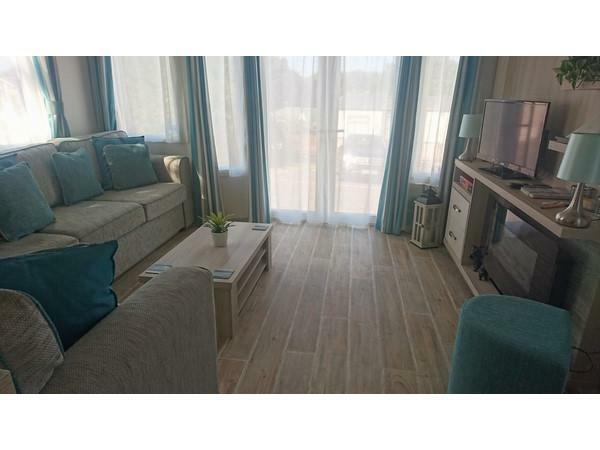 Beautiful caravan with everything you would need and more including a big tv to watch the World Cup games ! Spotlessly clean when we arrived and very easy to leave it in the same state when we left. The gate at the back to take the dogs for their early morning woodland walk was perfect. The beach is also just a twenty minute walk. The kitchen was very well stocked with lots of utensils. We cooked breakfast but ate out in the restaurant which has a great doggie friendly area. The double doors at the front leading to the big veranda were a big bonus. Overall the best mobile home we have ever stayed in by a long long way and we have stayed in quite a few. Thank you Ruth for a most wonderful holiday. Best Regards David and Sally. We had a lovely family holiday in this caravan. The caravan was very clean and comfortable with everything you could possibly need inside. We were able to take our dog as well. 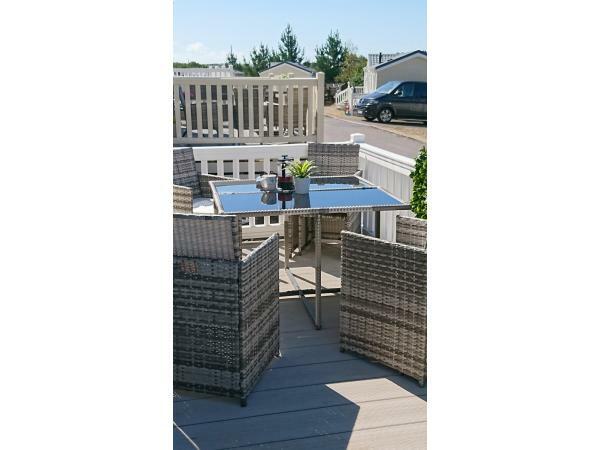 The caravan is situated on an excellent pitch where you get the sun from early morning until night with a huge decking area surrounding two sides. The site was excellent offering all the amenities you could want. The site is also a short walking distance from the beach. We had such a good time and we didn’t want to leave. The caravan is a real credit to the owner and we will be back. Would definitely recommend it was excellent in every way. We had a great break here, lovely spot, great accomodation with a spacious internal layout maintained to a very high standard. Owner Ruth very helpful. We'll be back (if it's not booked). Lovely light and roomy caravan definitely home from home. We have stayed at Shorefield quite a few times and love accommodation on Sea Breeze great for walking the dog. Unfortunately our stay was cut short due to my husband's ill health but we will definitely book for next year. Lovely clean caravan. Beautifully equipped. Very tasteful interior. Shorefield is a very family friendly site. We had a great stay there. 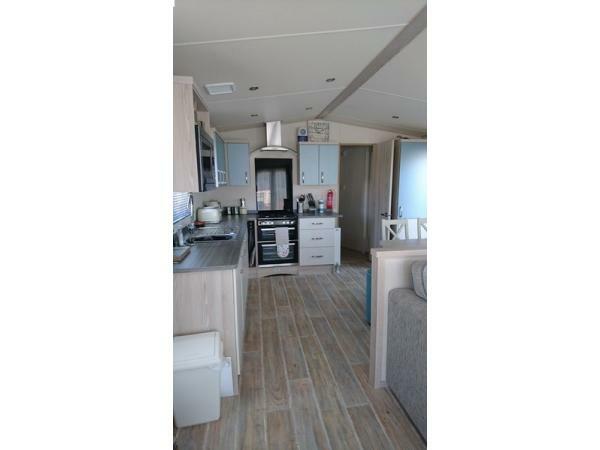 Beautiful caravan, very modern, clean and well equipped, really is home from home. The caravan is located in a good position not too far from the entertainment. Great little sight offering nice food, a area where you can take dogs, an over 18's area and a family area with great entertainment, there is something for everyone. There are two pools, both are really nice. We have really enjoyed our week and will be returning. The caravan was very well equipped, everything had been thought of. It was a pleasure to stay there. What a lovely caravan and beautifully sited. We had a lovely time with our dogs and visited a lot of new places.would love to come back again. I had a lovely stay at Ruth's caravan last week; everything was there that I needed for my holiday. The caravan was very clean and warm. My two dogs enjoyed it too especially sunbathing on the decking!! Very peaceful spot on Seabreeze with views of the Isle of Wight. Will definitely return, thanks Ruth. 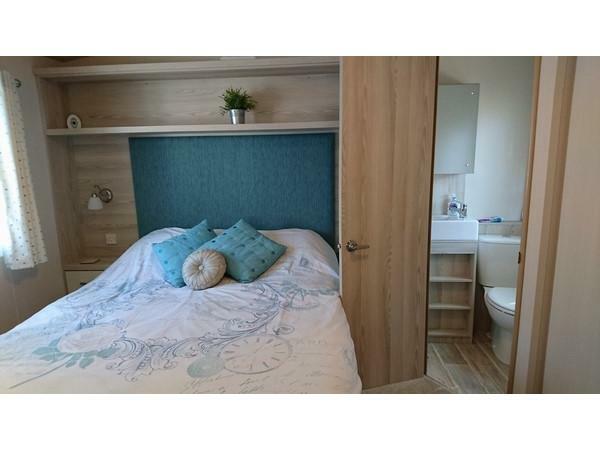 This caravan is a very warm and welcoming static, Very Clean and everything you would want is already there. The dog walk being just behind the van is a bonus. Excellent walks to the village, lovely porch. At this time of year it was very quiet. Did not use any of the facilities on site. Would highly recommend this van. 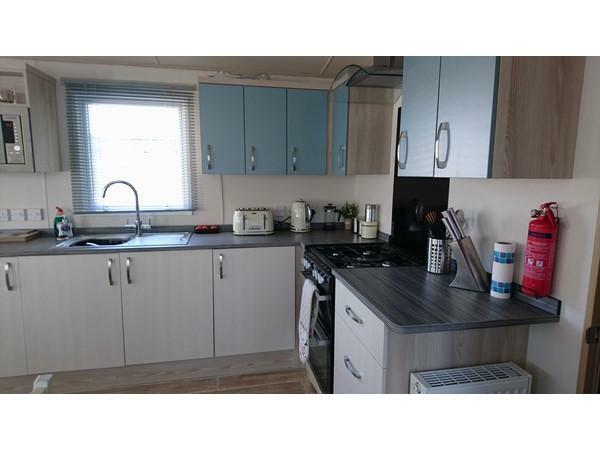 Lovely clean,homely caravan and in a good position. Very well equipped with everything you need. We enjoyed our weeks break so much we will definitely be planning to go back next year. Dog friendly which is a bonus as our little dog loves the beach walks. Lots of places to visit our favourite was Lymington. Thank you Ruth for making our stay enjoyable. 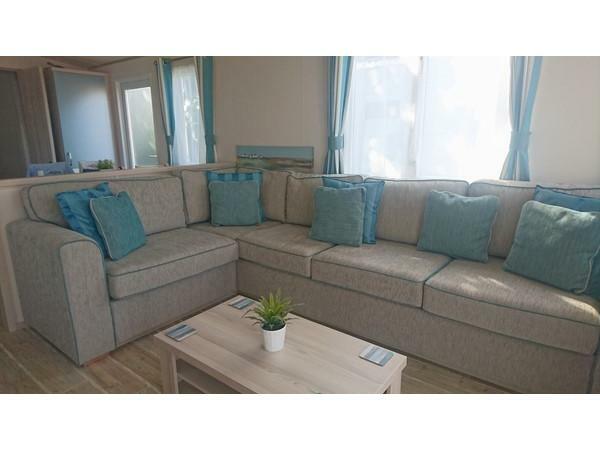 Fabulous caravan in a gorgeous location and absolutely immaculate. A total 'home from home' and really could not have asked for more. Excellent value for money, totally spotless facilities and furnishings. Just perfect!